"Quality tree care that won't cost the earth"
Tree stumps can be left in the ground after felling but this can lead to problems with suckering where new shoots arise from the trunk and roots. 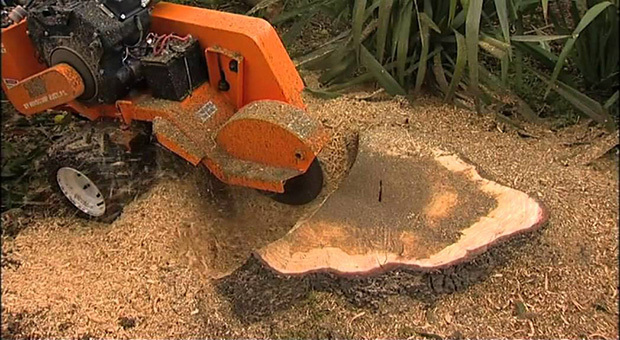 Stump grinding removes the main solid wooden stump from the top down to give enough depth to back fill with soil and re-instate the lawn etc. The process is quick and efficient. Completely dead stumps won't form suckers, but they can play host to root diseases such as honey fungus. Any size and species of stump can be removed. The most typical cases are in lawns (to avoid expensive damage caused to lawn mower impact). Any remaining root system will typically degrade and rot away. The residue from the grindings is a woodchip and soil mixture which can be added to, or made into compost. Tree stumps can be physically removed any time. It is most cost effective and convenient to organise the removal when the tree is being felled. 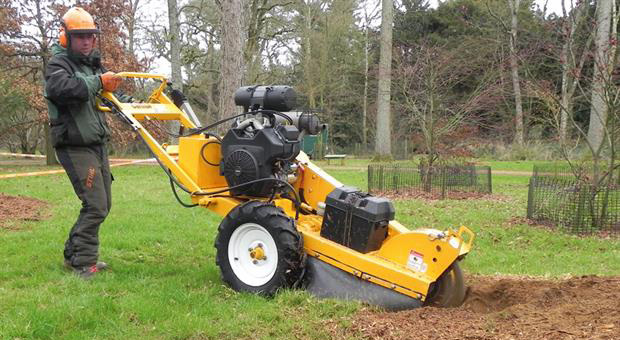 Stump grinding removes the upper section of the root ball, taking it sufficiently below ground level to allow for reinstatement of lawns etc. The residue from the grindings is a woodchip and soil mixture which can be added to, or made into compost. If you require any further information please email: andrew@arbortech.org.uk or call: 01460 281611. Tree pruning, tree felling & removal work. Dismantling of dangerous trees & branches. Crown reductions, Crown lifting & thinning. Tree stump grinding and removal work. Free site surveys & written estimates.